This is post that contains affiliate links which means I receive compensation when you make a purchase as a result of using the links in this post. I only share products I use, love or crave myself. Although this post has affiliate links, all opinions are my own. My morning routine went something like this. Up early in the morning, a quick shower, dress, then off to the little guy’s room to start his morning routine. We didn’t deviate much from it until last week when Little J. climbed out of his crib to come find mommy in the shower! I know L.J. is tall but we honestly didn’t think he was tall enough to carry out this feat yet. Needless to say I thanked God, not only that our little one hadn’t injured himself during this adventure but also that we’d bought a convertible crib. 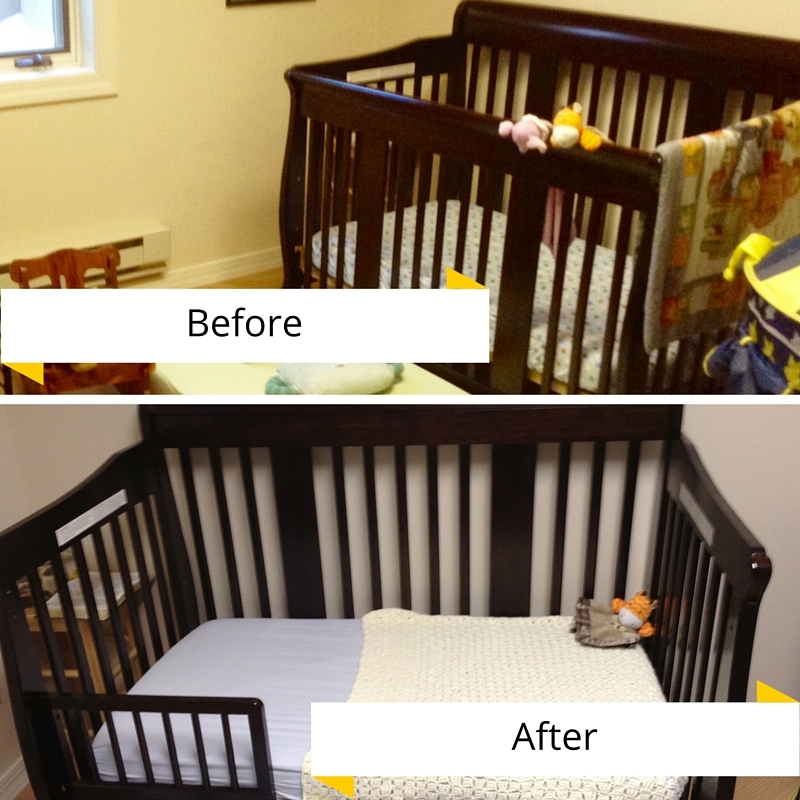 Little J has the Storkcraft Tuscany 4-in-1 Convertible Crib. 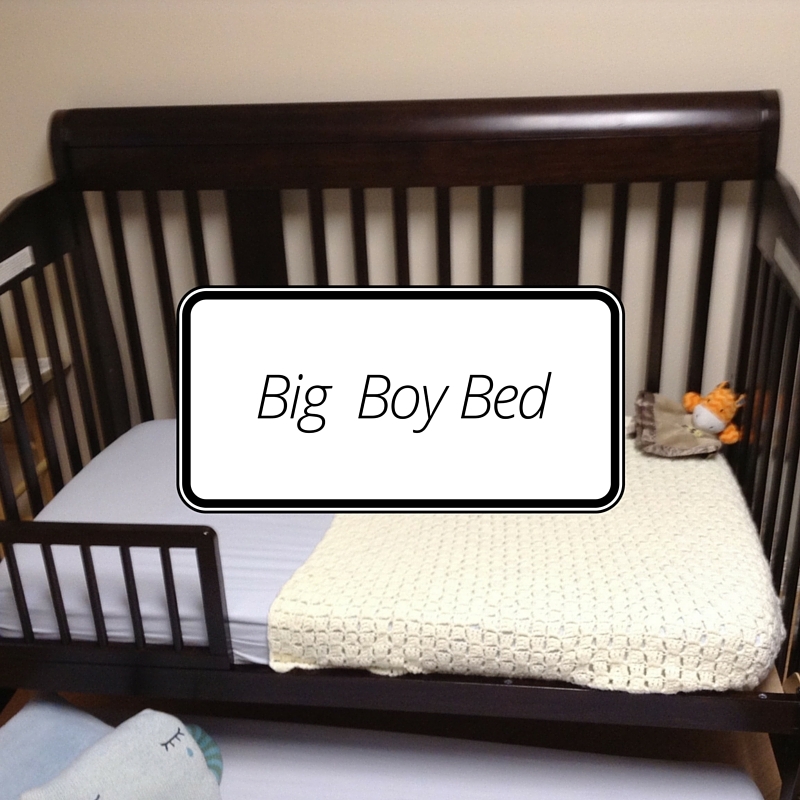 We spent that afternoon changing his bed to a toddler bed. We worried he’d be in our room all hours of the night but as it turns out that hasn’t happened. I took some advice from one of my favorite parenting books The Sleep Easy Solution along with a few online tips. After configuring his bed to a toddler bed, I kept most everything else in his room pretty much the same. We double checked all our previous baby proofing. I put away some things I didn’t want him touching and double checked that all the sockets in his room remained covered. At bedtime when we put Little J. to sleep, we tried to keep his routine unchanged as much as possible. We put him down. He got right up and came into our room. This wasn’t unexpected. I recalled what I’d read – stay clam, kind and firm. I walked him right back to his room and explained that he had to stay there. The second time, I repeated this action, there were tears! The third time, he looked at me with sad tired eyes and went to sleep. The whole thing took a mere twenty to thirty minutes. That night he stayed in his room and slept till morning. He’s done so ever since. There’s always a but isn’t there…I made the mistake of putting him to bed early one night and was awakened at 5:30am for two days afterwards. I put him back on his regular schedule and the problem went away. I’m pretty pleased with how the transition has gone. Valentines Day was this past weekend and Josh and I decided to make a cheesecake together. Believe it or not, I’d never made cheesecake before and I was totally looking forward to the undertaking. Cheesecake is one of Josh’s favorite foods (I’m a cake person myself). Josh and I have done this sort of thing on Valentines before. 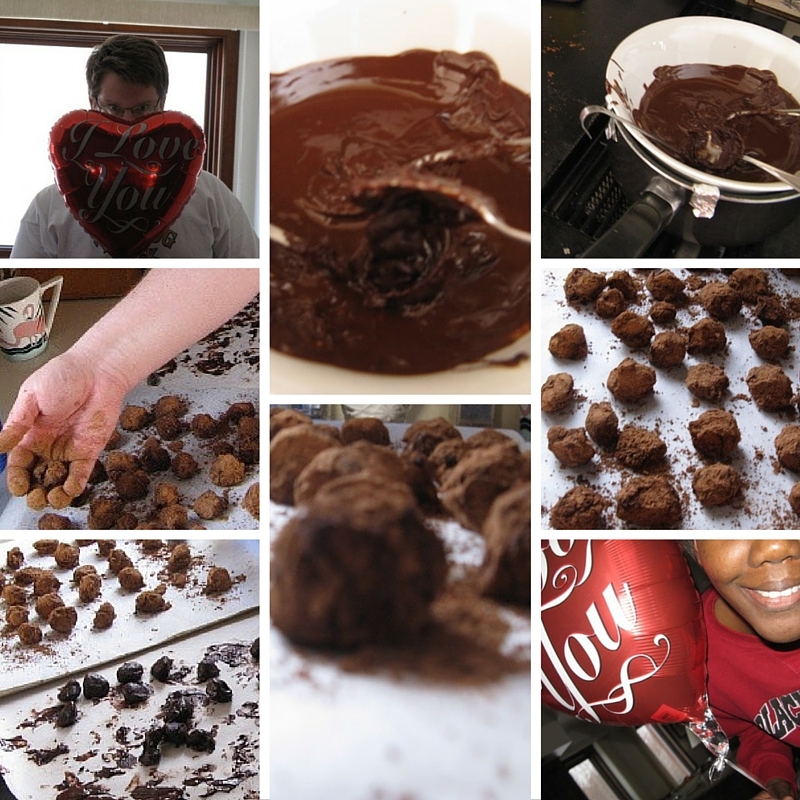 One year we made truffles which was incredibly fun and terribly messy! It’s not tradition for us or anything but now and then it’s a nice thing to cook or bake together. Our attempt this year was not nearly as messy. The preparation was quick and really not difficult at all. 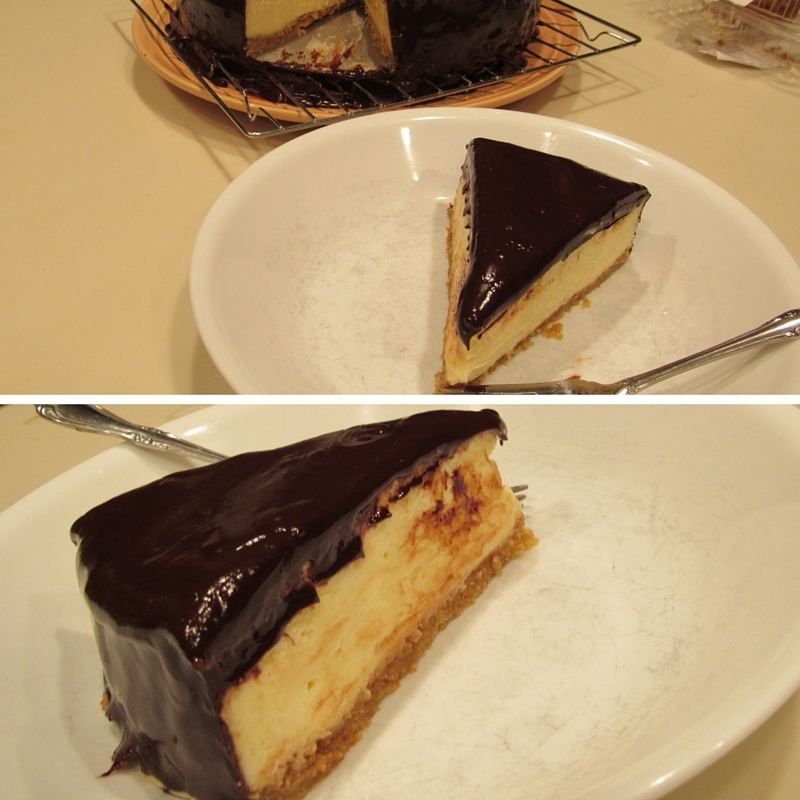 We’d decided to make a plain cheesecake with a graham cracker crust and a ganache topping. Want to try this project! 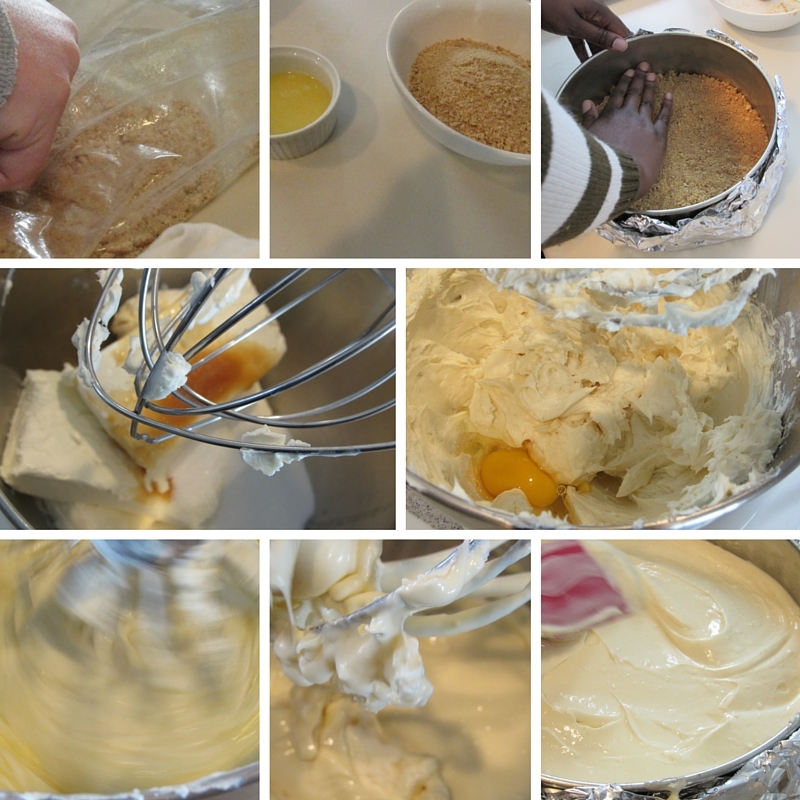 Click here for the Kraft Recipe we used to make the cheesecake. 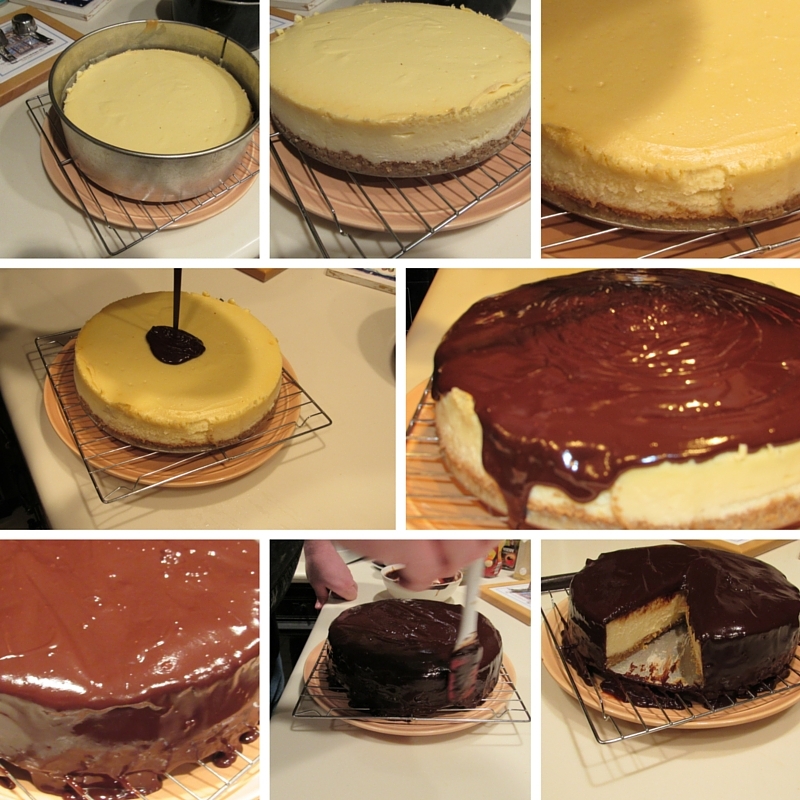 Here you will find the Ina Garten Chocolate Ganache recipe we used and loved! It turned out great if we do say so ourselves. 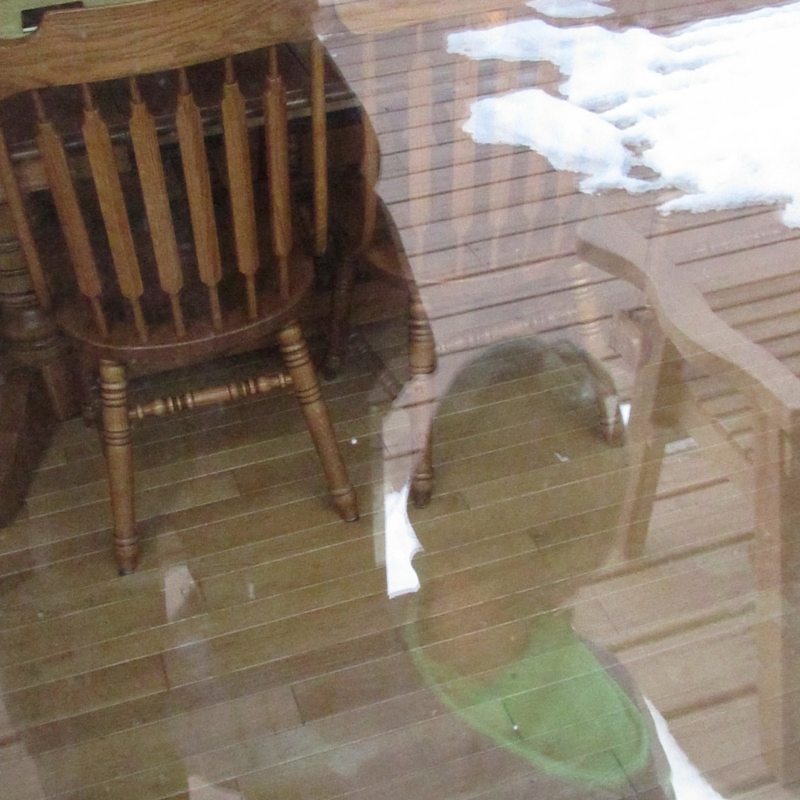 We had a few days where the snow was actually melting a bit and the weather was nice enough for Little J to venture outdoors for a while. We try to get outdoors and enjoy the winter when we can. That said I am ready for spring! Hope you had a great Valentines day. I sure do love all of you who come by and visit this page, message me or comment. You have no idea how happy it makes me to share with you as I love the exchange of ideas and conversation it sparks. Very good, you will have to try the Pecan and coconut cake next. Thanks we really had a good time making it. I would do it again as it was way easier than I thought. Coconut pecan cake sounds amazing I will have to try it.